Mayor Greg Moore of Port Coquitlam led the initiative for the union and said there are numerous reasons for the crisis in housing affordability that require a "multitude of solutions." VANCOUVER -- Local politicians in British Columbia are calling for an overhaul of the housing system with significant tax and regulatory changes in order to bring skyrocketing real estate and rental prices back to a level local residents can afford. The Union of B.C. Municipalities has issued a report containing 32 recommendations for provincial and federal governments based on research and best practices from across Canada and around the world. "The frustrating part that I see is many individuals and associations come out and say, 'Well if we just did (housing) supply then everything would be solved.' Well it's much more sophisticated than that," he said. "It has to look at the continuum of housing. Rental plays an extremely important part in that, but so does the demand management side of it." Speculation by foreign and domestic investors has contributed to escalating real estate prices in Metro Vancouver, which has had a spillover effect on other B.C. communities and the rental market, he said. Using taxes as a tool along with stronger regulations at the municipal level is a "winning combination" to fix a complex issue, Moore said. 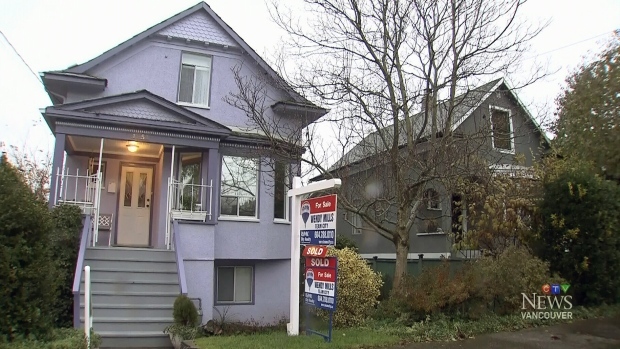 To curb real estate speculation, the union wants the province to consider expanding its 15 per cent tax on foreign buyers in Metro Vancouver to include other areas, such as Victoria, where markets have been heating up. It also wants a review to determine if the 15 per cent rate is sufficient. The strategy also calls for more transparency around who owns property. University of B.C. geography professor David Ley, who contributed to the report, said the United Kingdom provides a good example where regulatory changes now require identifying the owner, preventing foreign investors from dodging taxes or laundering money. "We want a declaration of who the actual owner is," Ley said, noting that property in B.C. can be owned by trusts or companies, hiding the person behind the purchase. Taxes are also being suggested to cut at the heart of the issue of profit-driven property flipping that has fuelled some B.C. markets, Ley said. The strategy includes a sellers tax on those who flip their homes within a few years of purchase to make a profit. It also calls for a more progressive tax system that hits luxury properties at a higher rate. "What we need to recognize here is that we're in a very abnormal situation in Vancouver, abnormal in the scale of the affordability crisis, and it does require determined response from government," Ley said, adding a similar strategy could be helpful in Toronto where affordability has reached similar crisis levels. While housing supply is a problem, Ley said it's too simplistic to expect that increasing the overall supply will be a solution for the market because many units are being built every year. "The problem is that those are not affordable units and they're not targeted to a local market or at least to the local wage structure, they're targeted to an investment market," Ley said. The strategy calls for tax breaks on developers building affordable units, and also giving municipalities power to create a progressive property tax system so that those types of developments are provided longer-term breaks. Moore said giving municipalities more power to zone areas for rental developments would ensure that new buildings remain as rental stock. The union has been in talks with the provincial government, and Moore said he hopes to see some of the recommendations included in the upcoming budget. The B.C. Green party released its housing strategy Wednesday that also focuses on speculation, the supply of affordable housing, financial relief for renters and improved transparency and data collection on ownership. "British Columbians have awaited action for far too long," said Leader Andrew Weaver in a statement. "It is time to move past rhetoric and get to work delivering solutions." Housing Minister Selina Robinson said in a statement that the province has already taken steps to address the housing crisis by improving supports for tenants and landlords, increasing housing for the most vulnerable, and cracking down on tax cheats. She said the government welcomes the strategy put forward by municipalities and the upcoming budget will include a plan that "looks at the big picture."